Best FREE Angel Card Readings Online for 2019 HERE! If you wish to connect with your spirit guides, guardian angels, or your loved ones on the other side then free angel card readings are the perfect way to do it. If you believe in angels, but you’re not familiar with how angel card readings work, stick around. Discover where you can find reliable, trusted angel card readers and how the whole process actually works. Although many people know them as angel cards tarot, angel cards are an alternative to tarot cards and have been increasingly growing in popularity over the years. The angel cards that readers use are similar to those of tarot. Angel card readings are used to help a client reflect on their own life They help them accept the things that they haven’t come to terms with yet. It’s up to the clients to make their own decisions and choose the path they want to take. Ultimately our future is fluid and is something we create ourselves, not something that’s predetermined. Angel cards access the energies of angelic beings. These beings want to give you insight and guidance as well as messages of encouragement in difficult times. They have infinite compassion and their lessons can cover all aspects of human life. Angels are beings with abilities above and beyond humans. They exist in heaven, outside the physical world. They were originally created by God even before the Earth existed, to work as messengers and protectors. 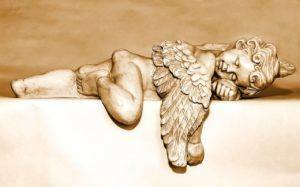 The main difference between angels and our spirit guides is that angels have never been incarnated into our world. They do not come from the same spiritual plane as humans do. Unlike us, angels don’t have a pre-determined path they need to follow and life lessons that they need to learn along the way. Since they are spiritually more developed than us, they are the ones that can give us guidance and advice on our everyday life choices. Angels are compassionate and loving and respond to us with love and care. Even though they are more knowledgeable than us and more developed spiritually, they do respect our choices. They are only here to guide us and not determine our future actions. Ultimately, everything we do is up to us. We need to make our own choices in life, and not just wait around for destiny to intervene. Since angels respect our free will, as well as the choices we make, they never intervene in our lives or offer us guidance unless we invite them to. We all have guardian angels and spirit guides that are here for us from the day we are brought into this world, and we have them throughout our lives. These beautiful beings made of love and light are always by our side. They are connected to our soul and go with us from one earthly life into the following. Although as we mentioned before, angels do not intervene in our lives unless we call upon them. They are, however, always here observing and watching over us. If you wish to get some guidance and advice from your guardian angels or your spirit guides, all you have to do is call them, and they’ll be there. Most religions present in this world speak of the existence of angels. In most of them, you’ll find the existence of Archangels as well. Archangels belong in the highest angelic realm. However, in the same way, as with the angels from the other realms, you can call upon them when you’re in need of guidance in your life. However, these are not the only 4 Archangels you can turn to for help. 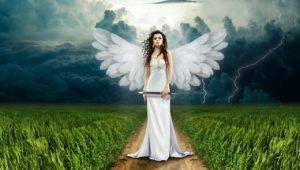 There are many angels and archangels that you can turn to when you need help, support and guidance and there is no such thing as choosing the right or wrong angel for you. All angels treat us with love and care and they will be here for you if you just ask for them. That’s where angel readings come into place. With online angel card readings, you can connect to your angel or your spiritual guardian and ask them virtually anything you want. Contrary to popular belief, angel cards aren’t used to predict the future. There are many misconceptions about free angel card readings, which is why we’re here to set things straight and shine a little light into this long used popular practice. Angel card reading are actually used to reflect what’s going on in someone’s life, and to deliver messages from the spirit guides and guardians angels that watch over us. Many who have been to an angel card reading admit that the reading helped them make positive changes in their lives and give them a piece of mind. Here’s how online angel card readings actually work. Although at first glance angel card readings may seem similar to tarot card spreads, the main difference between these two types of readings is the fact that unlike tarot cards that use esoteric symbols and numerology, angel cards rely on the connections to the etheric realms and the advice and insight provided by our spirit guides and guardian angels. There are multiple different decks of angel cards used today. They all have similar intent, to help guide a person through a challenging time, or to give someone insight and advice, but they don’t all function the same way. Some focus on each card separately, providing commentary for each, while others don’t focus as much on individual angels and guardians. Instead, they focus on symbol interpretation as a way to offer advice and guidance. The type of angel cards used depends mainly on the reader and his or her own preferences. Your reader will have probably already chosen their favorite set of cards beforehand. Even though the types of cards used can vary from one angel card reader to the next, the deck of cards is not that important compared to the message you receive. Although there are many people out there who often confuse these two terms, angel cards, and tarot cards are actually very different. Unlike with tarot cards, angel cards tend to focus only on the positive side of things, and that is why you won’t find cards like the infamous death card from the tarot that everyone’s heard of. There are no spooky connotations with angel cards as their main purpose is to help people connect with their guardian angel or spirit guide. Angel cards do not predict the future, they can be used merely as a guideline. Same goes for the tarot cards as well. 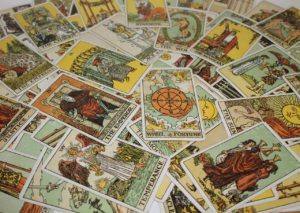 Tarot readers believe that our future is subject to change and therefore never give predictions about it that are set in stone. They can provide you with information and advice on the possible outcomes and paths that await you, but will never guarantee you that a certain future will occur. Another main difference between the two types of readings is that while tarot cards use symbols, numbers, and placement during a reading, angel card readers channel the energy of the angels in their readings. Although many confuse these two types of readings, there are some who’ve actually found a genuine link between the two. How Can You Guarantee An Accurate Reading? The fact that free online angel readings are becoming more and more popular each day has it’s positive and negative outcomes. The positive thing is that more people are becoming aware of this type of reading and are considering trying it themselves. The negative part, on the other hand, is the fact that with the rise in popularity of angel readings, there is a rise in fraudulent readers and fraudulent psychic websites. These sites claim to offer these services, but are in fact not knowledgeable in the subject and do not possess the abilities to connect to the spiritual world. In order to avoid spending money on fake angel card readings, you can go to some of the top-ranked psychic sites for 2019. These include Kasamba, Keen and Psychic Source. Here, you’ll find knowledgeable and talented readers at affordable prices and with lots of discounts, especially for your first session. Before you choose your reader, make sure to go over their profile and check out their customer reviews. This is where you’ll find honest reviews of their work, their abilities, and their professionalism. 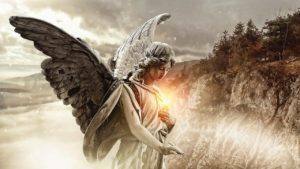 There are different types of angel psychics available on these sites. Some of them use divination tools to connect to angels, like angel cards, tarot cards, and so on. Others, on the other hand, connect directly to the spirit world, without using any tools whatsoever. If you’re wondering which of those types of readings is better than the other, the simple answer is that both those methods are valid. They can both be used during angel readings; they simply depend on the reader and their preference when it comes to angel readings. What Can I Find Out From An Angel Reading? An angel reading can be used to find out many things about yourself. You can reflect on your life and present situation and find ways and methods to cope with a particular situation or problem that you might be facing. Since there are many things that you can find out from an angel reading, why not start out with stating the one thing that you most certainly won’t be able to find out, and that is – your future. Angel readings aren’t used for making predictions about the future. So, if a reader claims otherwise, you better find yourself a new one. Angel readers believe that the future is determined by our own actions. This means that it is not set in stone and can be altered. That is why most angel readers will refrain from talking about future events that may or may not occur. Instead, they focus on what you can do to improve your current situation. They can help you tackle a problem or an issue you’re facing, and then provide you with helpful advice and guidance. An established connection to your guardian angel. Guidance and messages from your angel. A better understanding of your life path and your purpose in this world. Support, love and positive energy. An angel card reading is perfect for people who are going through a difficult or challenging period in their lives. Or perhaps they are simply looking for some advice and guidance on their life path. Are you looking for some genuine advice, as well as gentle and calming messages that will help you make the right choice or figure out what you need to do? If so, then an angel card reading might be just the right fit for you. 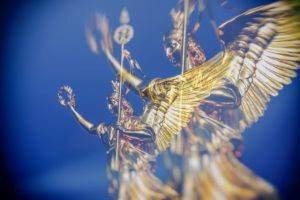 Looking for a Live Angel Card Tarot Reading? How was your Free Angel Card Reading? Let us know in the comments at the bottom of the page!